Any fabulous look requires a perfect foundation. And the quickest and most effective way to achieve it is to use color base, however this is not as easy as it sounds. 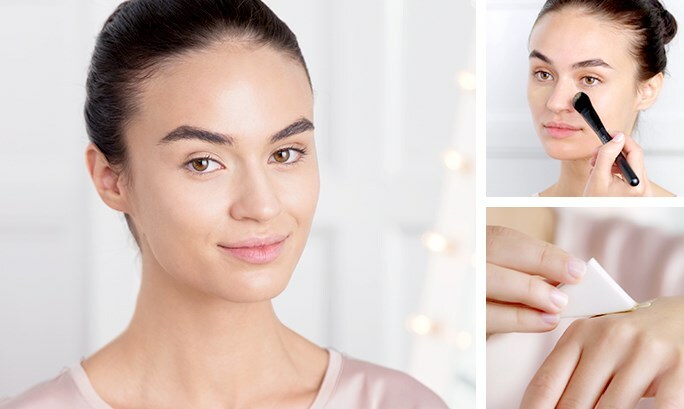 That’s why we’ve shown you three simple steps to ensure a perfect foundation. Do you want a perfect, refreshed face? So, start by moisturizing your face with a light facial oil. Warm it in your hands and then apply it to your face, gently massaging it. In addition to providing intense hydration, it helps in the application of color base. For an ultra-soft finish, we recommend the use of a make-up base. This product prepares the skin for the application of the color base, filling the fine lines and pores. 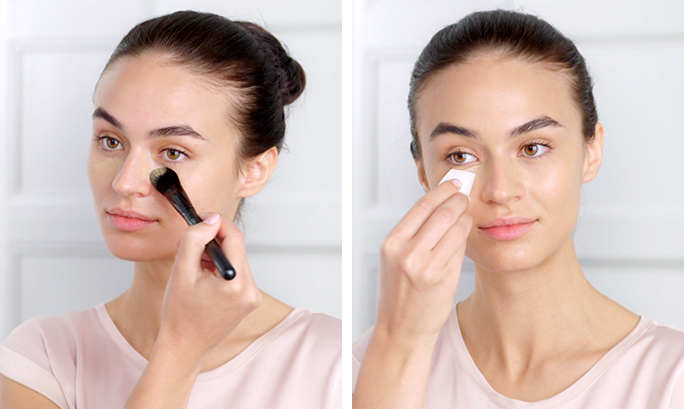 Apply the make-up base to the skin with your fingertips. Note the quantity to be applied – applying too much may cause the base to not fit properly. A small drop (size of a raisin) is enough. Finally, apply your color base, applying a small amount on the cheek, forehead, chin and cane of the nose. Then use a base brush to add coverage (it’s easier to add more base than to remove the excess). For areas that need more coverage, use a damp sponge to apply the base and disguise acne, redness and dark circles. There you have it – perfect base for any make-up look!